I had an extra pie crust to use up after making the tomato pie and I was tempted to make the tomato pie again, but I was out of mozzarella. We did have some feta hanging out in our fridge and I typed “pie crust, tomato, feta” into Google and it spit out this recipe from Real Simple magazine. Thanks to the thyme growing like crazy in my backyard herb garden all I needed were the olives! Can we talk for a minute about the olive bar at the grocery store? I am done buying olives in the jar from Trader Joe’s. Much as I love those and as convenient as they are, I don’t like how they sometimes get a thick, oily covering after you open the can (please tell me you know what I’m talking about!). The olives from the olive bar are HUGE, fresh, and dripping in olive oil. 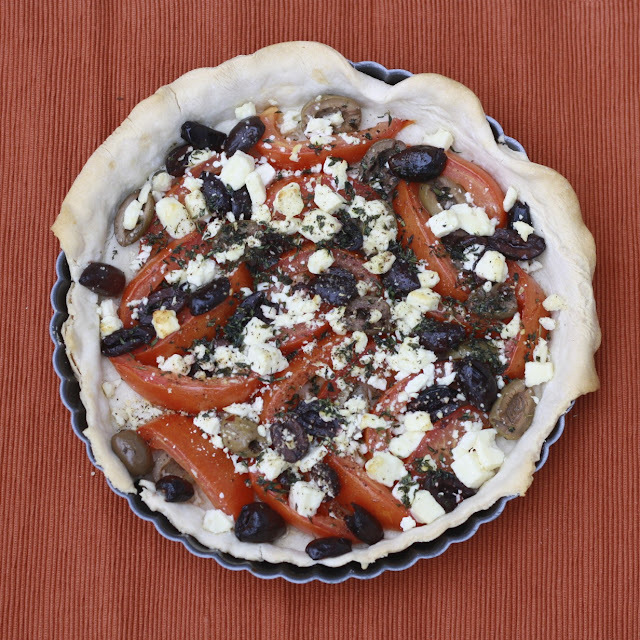 I also love that they come in several varieties—I went with a mixed variety for this Greek Pie and fell in love. I may or may not have been picking the olives off of the uneaten pieces of the pie. This could easily be adapted with other Greek flavors. Add chickpeas or roasted red peppers or even cucumbers (after baking). If you’re going to skip the olives, send them my way please! 1. Preheat oven to 350F. Press pie crust into a 9-inch tart pan or pie pan. Prick the bottom with a fork. Bake crust for 7-10 minutes, until it begins to brown. 2. Remve the crust from the oven. 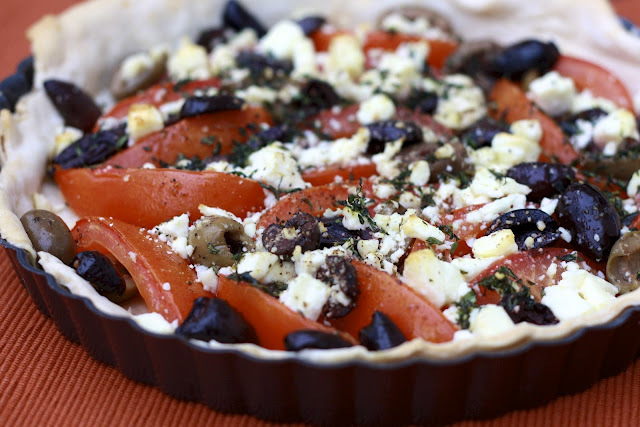 Top with tomato wedges, followed by the olives and feta cheese. 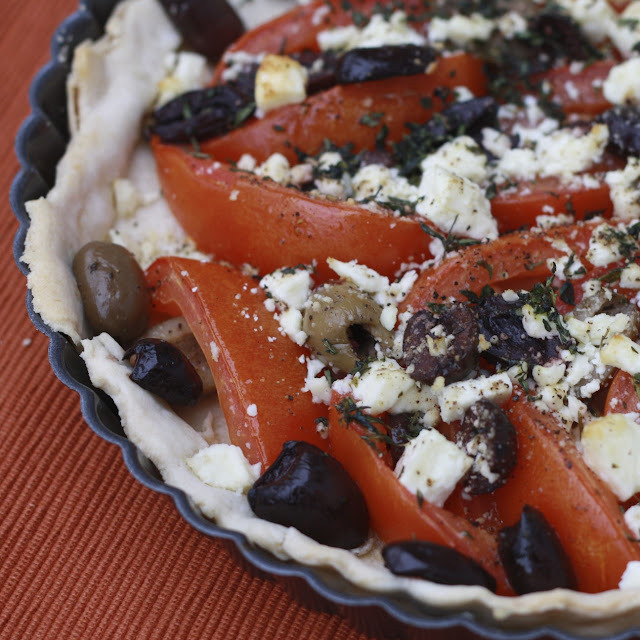 Drizzle the olive oil over the tart and sprinkle with thyme and pepper. 3. Bake for 25 minutes, or until the crust is golden and the tomatoes are soft. Serve warm or at room temperature.